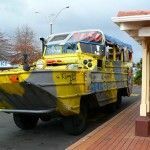 Rotorua Duck Tours, is a unique tour company. 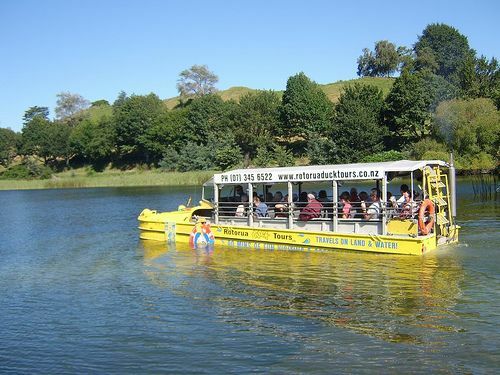 They specialise in introducing Rotorua’s rich history and viewing some of its spectacular scenery. 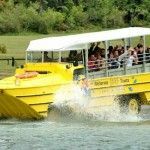 Rotorua Duck Tours offer amphibious sightseeing tours that are like no other and are centrally located in Rotorua city, Central North Island New Zealand. 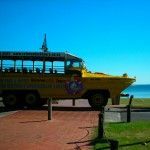 The fun begins as soon as you climb aboard these amazing WWII military landing crafts (known as ducks), where you will meet your legendary ‘Conducktor’ who is in charge of the guided tour. 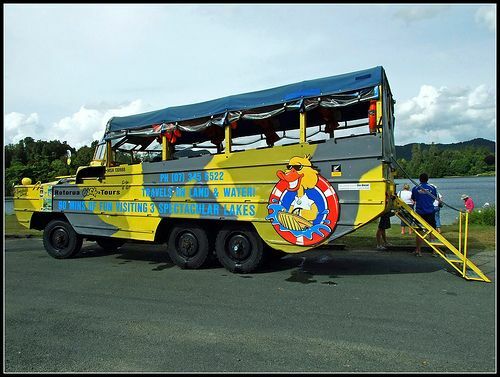 Come and join us on our 90 minute scheduled Rotorua City & Lakes Tour or our all new 120 minute Tarawera & Lakes Tour . 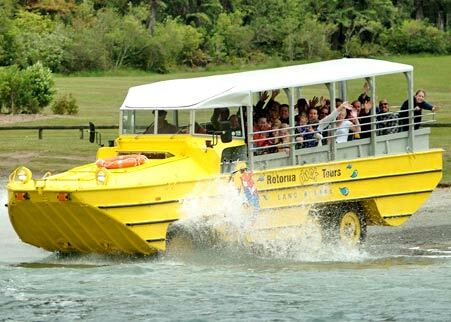 On both tours we explore Rotorua’s most famous lakes and landmarks. 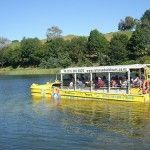 Highlights include; ‘splashdown’ onto up too three lakes, geothermal activity, Maori Culture, history of Rotorua and Mount Tarawera. 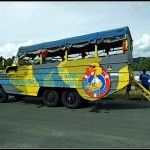 You will also learn about the fascinating history of the Ducks and much more! 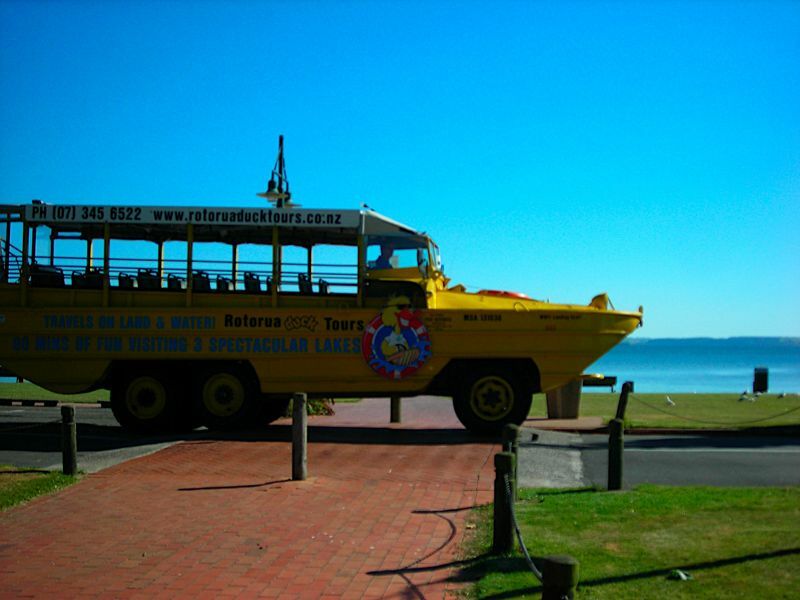 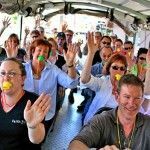 Rotorua Duck Tours is an entertaining activity for the whole family, a true adventure all ages can enjoy – its educational, fun and something to remember! 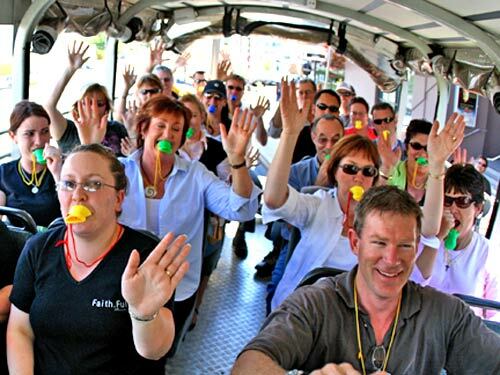 They also cater for group activities including conference and corporate groups.